I can’t quite pull off blaming my inability to remember the overwhelming majority of what I read on the French. Even though the French are not doing a single thing to help me with this problem, they are not to blame. I can’t remember what happened in books written by Americans either. It’s not uncommon to forget what happened in books you didn’t enjoy. Do I have the slightest idea why Mr. Darcy came to visit the Pride and Prejudice gang? No, I do not. But I was forced to read that book at some point during my schooling. I didn’t want to read it, and I was happy to forget about Mr. Darcy and his visit to the sorority house right after I failed the pop quiz. But am I normal in forgetting the plots of books I enjoyed? My overall memory is no worse than average, so why can’t I remember anything I read? The one hypothesis I have concocted (the French are to blame) does not stand up to the scientific method, so I am at a loss. This affliction wouldn’t be bad if there were only 100 books in existence. Then, it would be a pleasure to forget all the plots, once I had burned through the library. I could read the books over again for the first time. But there are far too many books in the world to have to go back and redo the ones forgotten. I don’t even get to come off as “well-read” in literary conversations. I have to say things like, “Yeah, that was a great book, but I’ll be damned if I could tell you why.” If you ever get into a literary conversation with me, you might as well start off assuming I’m a poser. Here are four books I really enjoyed reading, and the sum totals of what I remember about them. The Count of Monte Cristo – Some guy (presumably, The Count of Monte Cristo) is jailed unjustly. He escapes, possibly by playing dead (that might be the movie version, or some completely different book – not sure). Somehow, he works his way back into high society and formulates a precise list of all the other high society folks who have wronged him. He plans a specific revenge for each of them, and then I don’t know what happens after that. My guess is that he works his plans to perfection and reveals his true identity to rub it in. Honestly though, he might just as well fall down the stairs and break his neck. I really don’t remember him doing anything specific. NOTE: This is the French not lifting a finger to help me with my troubles. What I remember most about this book is the overabundance of characters with similar French names. I couldn’t understand how one character was so ubiquitous until I figured out that he was actually three different guys. 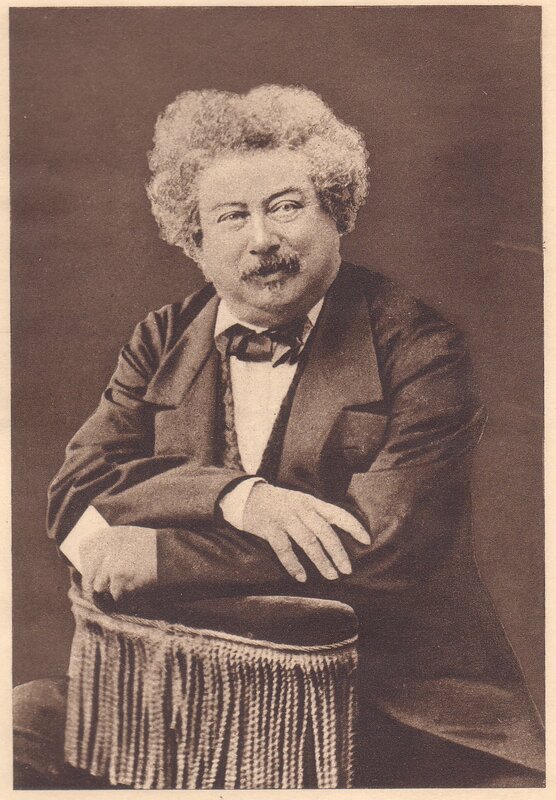 Dumas: A Frenchman who confounded me by giving all his characters French names. What nerve! Ethan Frome – A farmer type guy brings home a young girl to live with him and his wife. That doesn’t even really sound right, but I’m going to go with it. Anyhow, the farmer starts to like the new girl, and that becomes a strain on his marriage. This might have happened in winter, because I have this image of a horse-drawn sleigh. There may even have been some kind of sleigh wreck, but I’m probably just making stuff up now. I remember I was pleasantly surprised at how much I enjoyed this one. I don’t remember why. The Hunchback of Notre Dame – This hunch-backed dude works as the bell ringer in a big church. He falls in love with a beautiful gypsy girl who is out of his league. The priest, or some other big-wig of the church is also there, and he’s not such a good guy. The hunchback ends up taking a header off the bell tower, or something terrible like that, and I don’t know what happens to anybody else. I remember being impressed with the storytelling in this book, with the exception of one miserable chapter that described the city of Paris, in whichever century the story took place, to excruciating detail. The names of the French people in this story didn’t vex me at all, which puts another nail in the coffin of my sole hypothesis. Uncle Tom’s Cabin – There’s a cruel slave owner in Kentucky (?) who owns Tom as well as some others. There’s a little girl involved in some way, and she has to cross over the river on broken ice, which is considered somewhat dangerous. Whether or not she makes it is anybody’s guess. Also, the final disposition of the other characters is unknown. I remember being pleasantly surprised that this book read much less like a political tract than I’d expected. It was actually an entertaining story. I cannot begin to tell you why. 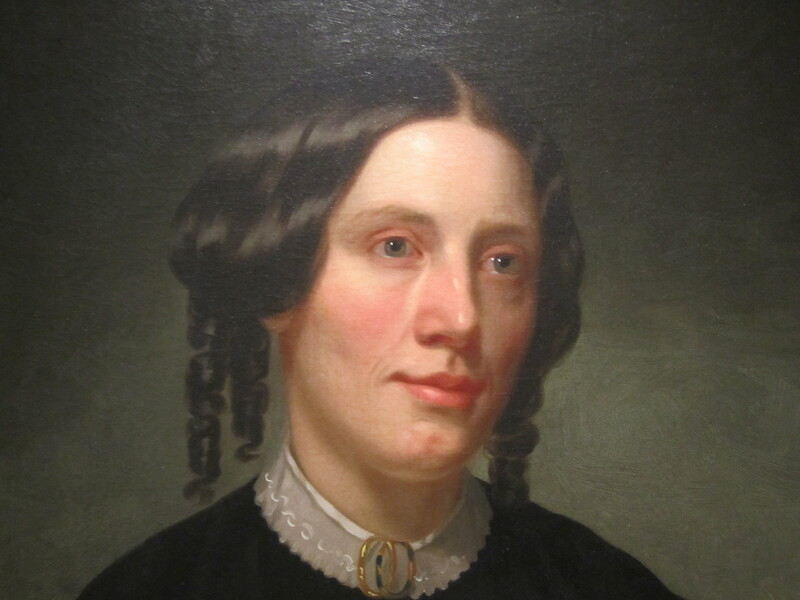 Harriet Beecher Stowe: Not as preachy as she looks. I wonder if there’s a name for my disease. How can I enjoy reading certain books so much, and then not remember a thing about them? It’s discouraging, especially now that I am resigned to exonerating the French and leaving my own mind to shoulder the blame. I would love to be able to tell you why The Hunchback of Notre Dame is such a great story; I just can’t. But after this, I’m sure you will have the confidence in me to just take my word for it. Am I the only one with this condition? Are there books you’ve enjoyed but can’t remember? Did my hazy recollection come close to the plots of any of these novels?